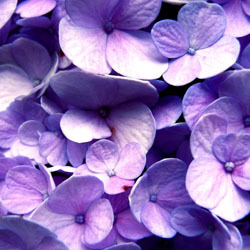 Do you love the look of large, stunning hydrangeas? Do they evoke wistful images of summer and floral nostalgia? Don’t you wish they would last longer in the landscape? Unfortunately, many hydrangeas have relatively short bloom cycles, but there are amazing cultivars you can investigate that provide longer lasting blooms without losing any of their beauty or richness as the season progresses. Endless Summer® The Original and Endless Summer® and Blushing Bride® are the first mophead (large, ball-shaped flower) hydrangeas that bloom on both old and new growth, providing you with beautiful flowers and gorgeous color all season long. 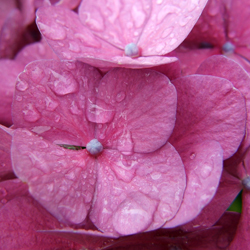 Young plants produce blooms that are 4-6 inches wide, while mature plants can have blooms as large as 8-10 inches wide, making these massive hydrangeas real show stoppers in your landscape or garden. Flower color for Endless Summer® The Original ranges from shades of blue through shades of pink, depending upon the pH level of your soil. Pink blossoms are the result of alkaline soils (pH 6-7), while more acidic soils (pH 5-5.8) will cause the plant to produce blue flowers. Adding Master Nursery Hydra Blue or other acidifying agents to the soil can help produce the lovely blue colors if your soil is initially alkaline, or you can adjust bloom color throughout the season for a vibrantly changing show. Endless Summer® Blushing Bride, as its name implies, initially offers pure white blossoms that mature to a sweet, pink blush or pale blue tinge, again depending on the soil pH. Large, deep green leaves provide a lovely background for these spectacular flowers, which are excellent for cutting for fresh arrangements and for drying. Endless Summer® hydrangeas mature at 3-5 feet in height and width and are perfect used as standalone specimens, planted in borders or as hedges, massed under deep-rooted trees or even set in large containers. These plants perform best in partial shade with moist soil. Another big plus for Endless Summer® hydrangeas is the fact that they are cold hardy to Zone 4, giving northern gardeners a beautiful plant that will bloom well year after year. Perfect for Mother’s Day, Father’s Day, weddings and house warming celebrations, potted Endless Summer® hydrangeas make beautiful gifts that will provide years of beauty and enjoyment. 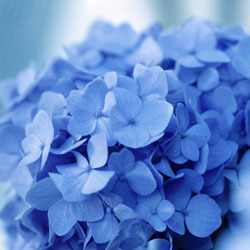 If you already have these stunning blooms in your yard, consider cutting a few for a bouquet and share the joy with friends, neighbors, family members, coworkers and acquaintances, and the interest in these amazing hydrangeas will continue to spread until the world is blooming all summer long.